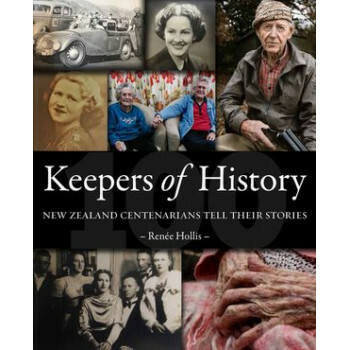 In 2017, Renee Hollis interviewed 120 people over the age of 100, living in every region of New Zealand. Along the way, she had the privilege of interviewing 23 World War II veterans. Her goal in compiling the book was to preserve New Zealand history by sharing the stories and memories of our eldest citizens. She wants all people to value the elderly and to read and appreciate their stories and contribution to our society. Most importantly, she wants to ensure that that they are not forgotten and do not become invisible in our communities, but instead are honoured and celebrated. In this collection of interviews, we meet opera singers and farmers, a politician and a racing car driver, a nun and a freedom fighter with Gandhi, and even a member of Hip Operation - the oldest hip-hop group in the world! They have witnessed momentous global events and technological innovations that have changed our world. From the everyday to the extraordinary, these are the stories of people who have lived through history and whose message of resilience and making the best of things has so much to offer the generations that have followed them.